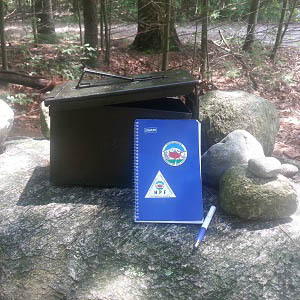 In typical Little Rhody fashion, the highest point in our state is a mere 812 feet above sea level and access to it is a quick walk through the woods with hardly any elevation gain! But still, reaching the highest point in RI grants a certain degree of accomplishment and could be the start of your family’s highpoint adventures. This is a short walk on a well marked trail. Your children will love inscribing their names and a message in the register and adding a rock to the cairn that other highpointers have started. Return the way you came, making certain you stay on the path to avoid hiking on privately owned land. Quirky RI history: Jerimoth Hill was once considered one of the more difficult high points in the country to reach due to the fact that it was surrounded by privately owned land. Since December 2011, Jerimoth Hill is now owned by the State of Rhode Island and access is available from 8am to 6pm daily. However, the land adjacent to the highpoint is still privately owned, so please stay on the trail and be respectful of property owners. Click here to visit the Summit Post website. Get directions or follow ours: From the intersection with Mt. 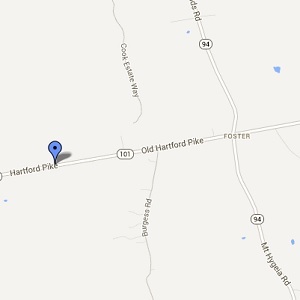 Hygeia Road, travel west on Hartford Pike (Route 101) about 1 mile. Look for a small parking area on the right just past a brown Jerimoth Hill sign and guard rail. Cross to the south side of the road for the trailhead.